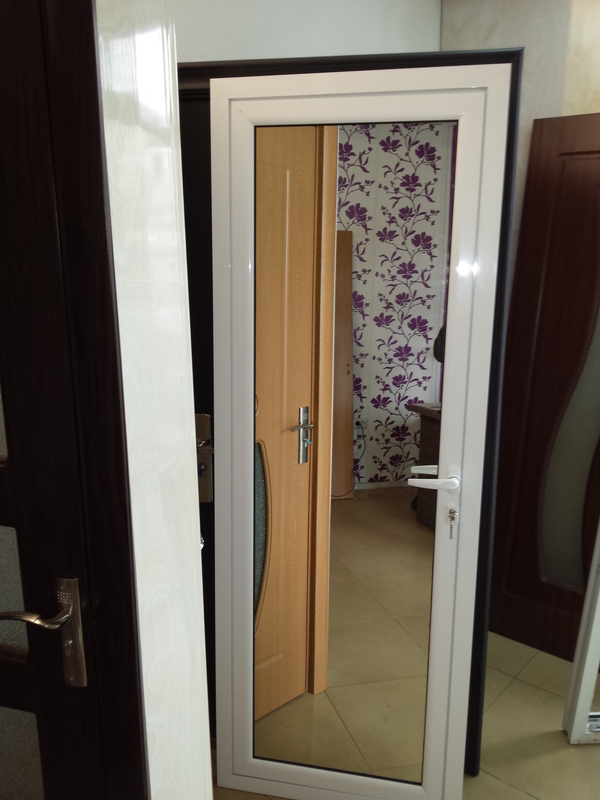 Aluminium doors are available in a standard white color and a wide range of RAL colors and wood imitation. 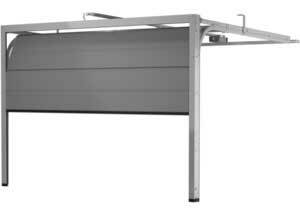 Z PLAST works with aluminium profiles manufactured by Altest and Etem. 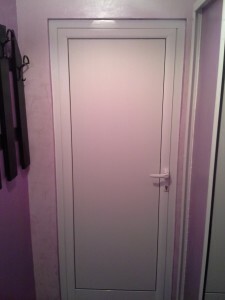 Available in standard white colour and a wide range of RAL colours and wood imitations. Aluminum profiles are divided into two main groups: without an interrupted thermal break and with an interrupted thermal break. 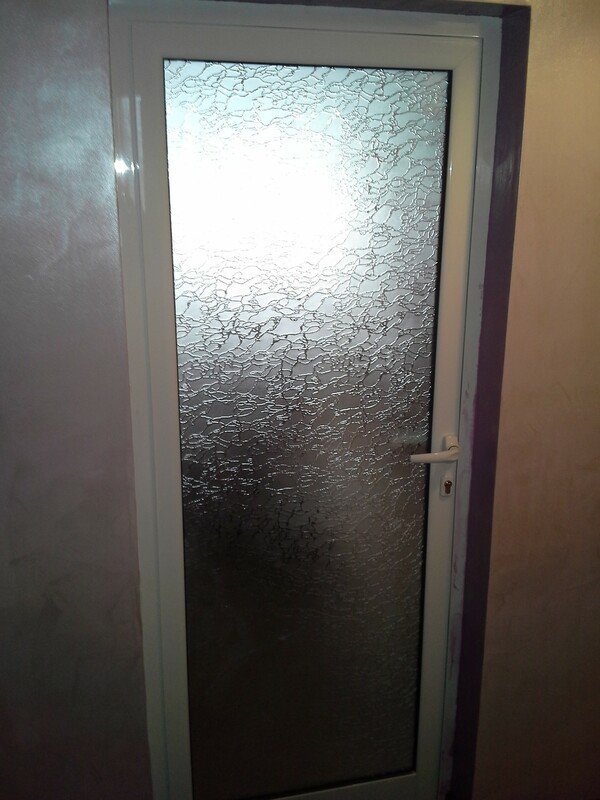 For external glazing is used primarily aluminum with an interrupted thermal break, since aluminum has good thermal conductivity, thus avoiding the presence of condensation. 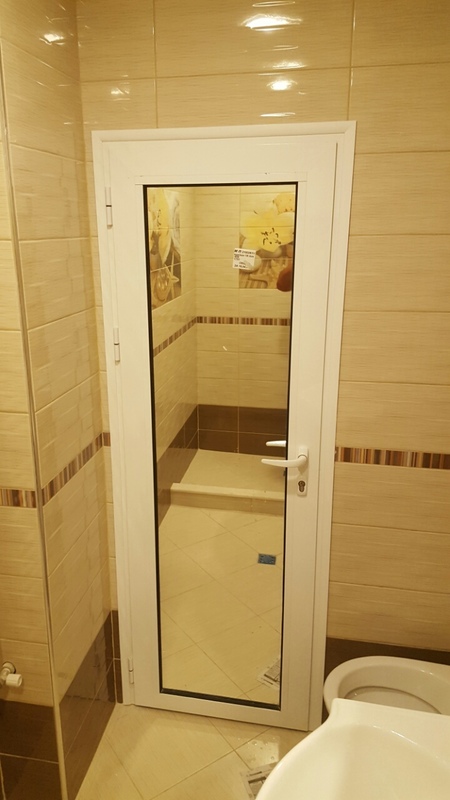 From aluminium profiles the most often used is without an interrupted thermal break /cold profile/ which is suitable for interior solutions – bathroom doors, interior doors, sliding partitions and others. 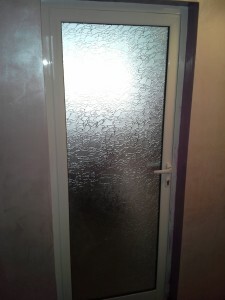 It is not advisable to place the cold profile for external glazing, as condensation appear with abrupt temperature variations. 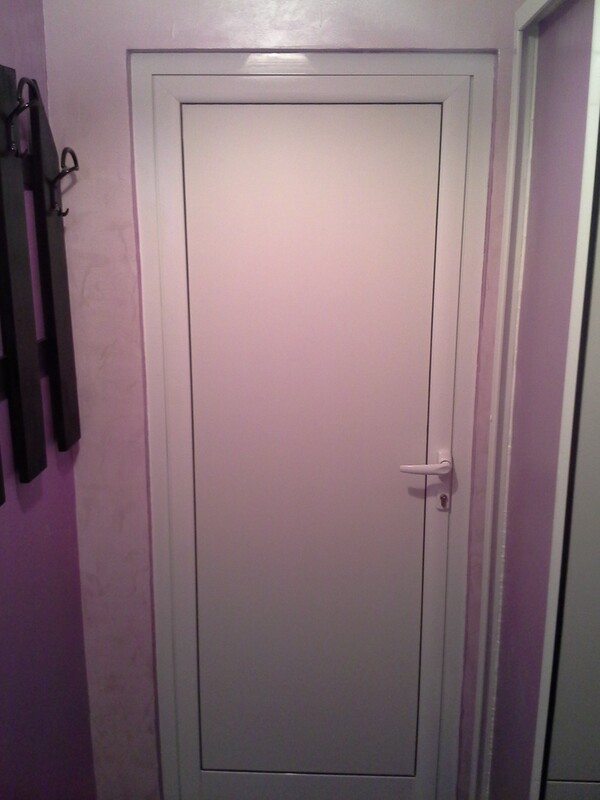 If you still cannot decide what door you need to put in your bathroom, without a doubt our advice is ALUMINUM DOOR. 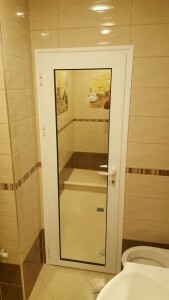 The door can be glazed or with a filling of your choice. TAKING THE SIZES, MANUFACTURING, SUPPLY, DISMANTLING OF OLD WOODEN FRAME, INSTALLATION, FULL WARRANTY SERVICE 36 MONTHS AND VAT. 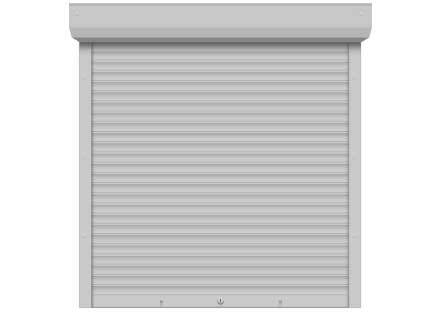 Aluminum doors are manufactured according to sizes!!! The price shall be determined by size, colour and filling. 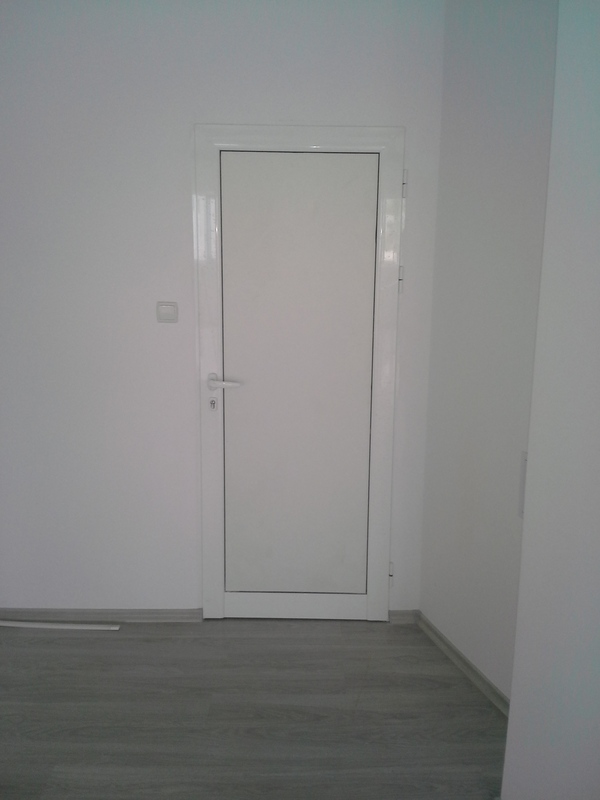 THE PRICES ABOVE INCLUDE THE FOLLOWING SERVICES FOR CITY OF SOFIA – DIMENSIONS, FABRICATION, DELIVERY, REMOVAL OF OLD JOINERY, INSTALLATION, FULL WARANTY FOR 36 MONTHS AND VAT. 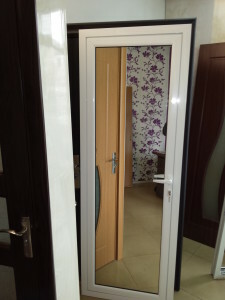 The aluminum doors are manufactured in sizes!!! Their cost is determined by size, colour and filling. 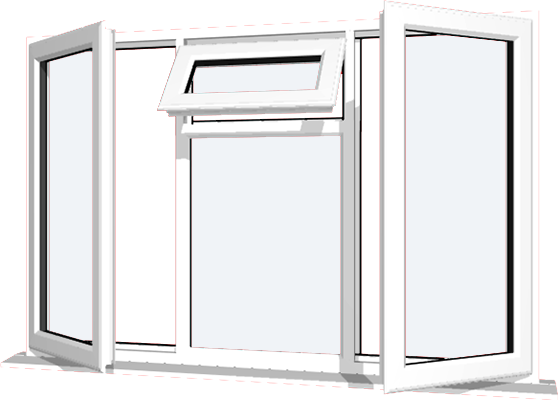 DIFFERENT COMBINATIONS OF FILLINGS ARE POSSIBLE – THERMOPANEL WITH MIRROR, PARTICLE BOARD WITH MIRROR, WHITE/FROSTED GLASS, ETC. FOR ADVICE, QUOTES AND ORDERS, YOU CAN CONTACT OUR CONSULTANTS BY PHONE NUMBERS FROM THE WEBSITE OR YOU CAN VISIT OUR STORES. 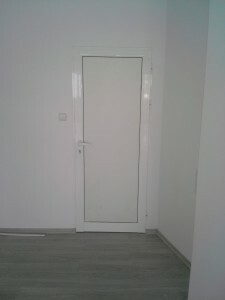 NEW OFFERS FOR ALUMINUM DOORS!! !